Faced with the ongoing migrant crisis, Germany’s Chancellor Angela Merkel has warned European Union (EU) leaders to protect the politico-trading bloc’s external borders or risk a return to nationalism. Chancellor Merkel was addressing a joint press conference in Rome, alongside the Italian Prime Minister Matteo Renzi, when she made the comments. She called on member states to defend the EU’s borders “from the Mediterranean to the North Pole” in solidarity with one another. 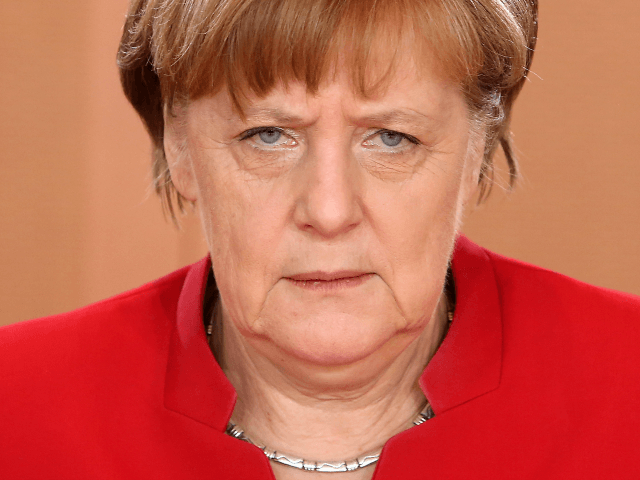 In Mrs. Merkel’s opinion, abandoning cooperation between member states by withdrawing the mutual support which promotes the effective protection of Italian, Greek, Maltese and Cypriot borders would cause parts of the EU to relapse into nationalism, reports Die Welt. Vowing to do “everything to solve the problem of migration” she still warned against closing internal EU borders, as allowing countries to adopt that approach would threaten the freedom of movement so cherished by her. Mrs Merkel went on to say that ramped-up border controls, of the sort under consideration in Austria in response to the onging migrant crisis, raise questions as to whether the passport-free Schengen zone can survive. Mr. Renzi specifically criticised the preparation for possible controls on the main crossing between Italy and Austria. Those moves are being considered in light of the closure to migrants of the so-called Balkan route from Greece to Western Europe following the EU-Turkey migrant deal, the result of which sees Italy at risk of becoming the principal entry point for those travelling illegally to the EU. He said that Austria taking such an “anachronistic” step would be wrong “even in an emergency,” adding that no such emergency had yet been reached. Italy is calling for NATO naval patrols off the coast of Libya to start before the summer’s people-smuggling season reaches its height. Mr. Renzi has even suggested a deal be done with Libya on a similar basis to that brokered with Turkey. He also wants to introduce “a strategy for Africa” that would use EU aid to invest in those African countries abandoned by large numbers of migrants, in a bid to tackle the poverty which they seek to flee. As ever, the problem with the idea is in the implementation, and currently Italy and Germany cannot agree how to fund the plan. Speaking to host and Breitbart News Executive Chairman Stephen K. Bannon on Breitbart News Daily on Sirius XM Patriot channel 125, Breitbart London’s Oliver Lane explained Chancellor Merkel’s motivation in securing the border. Primarily she wants to maintain free movement within the EU, and any security concerns on its borders are secondary to that. Ultimately, as he explains, maintaining internal free movement will merely ensure those who cross its porous external borders will distribute themselves throughout the EU.